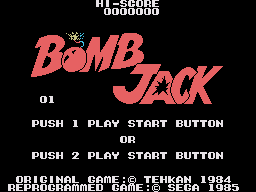 Bomb Jack (ボンジャック) - Cheats - SMS Power! During the title screen, press . A number appears, use and to select a stage.